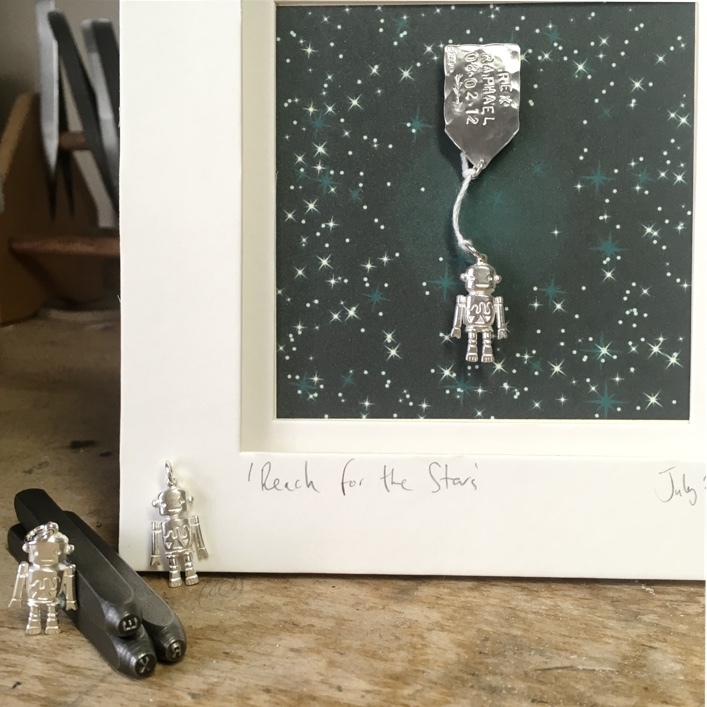 We get asked a lot about christening present ideas for boys which is always a bit of a tricky one. I think (or hope!) that we’ve nailed it! 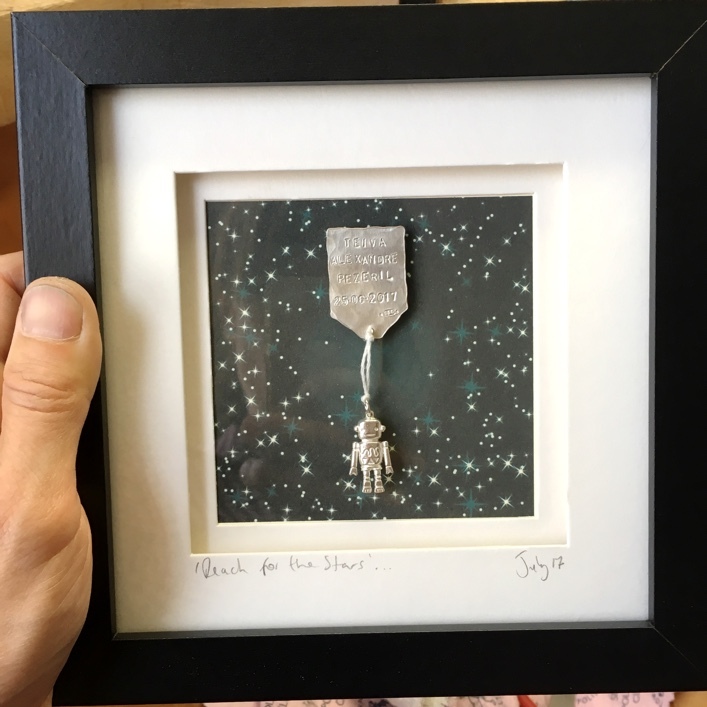 Our little silver robots, personalised with a silver tag in a signed & framed picture, perfect for any boys bedroom or robot mad grown up!! .